SplitContainer is similar to the standard SplitContainer control, but it can support more than two panels at a time, as well as headers, visual styles, and collapsible buttons. 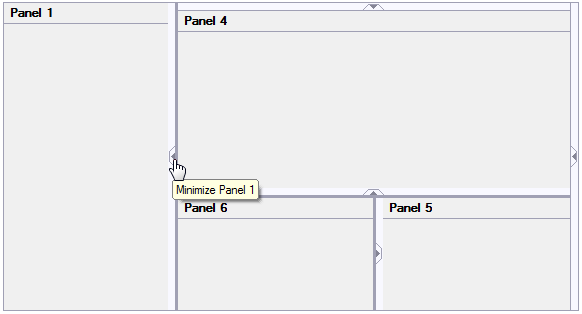 Each panel in SplitContainer can be fixed or resizable. Users can resize panels on the fly by dragging the special splitter element. The actual size of the panel can be updated when the user releases the mouse button or while dragging. Panels can display a collapsible button that, when clicked, minimizes the panel to the edge it's docked to. Panels can display headers with caption text. You can adjust the appearance of headers with simple property settings. 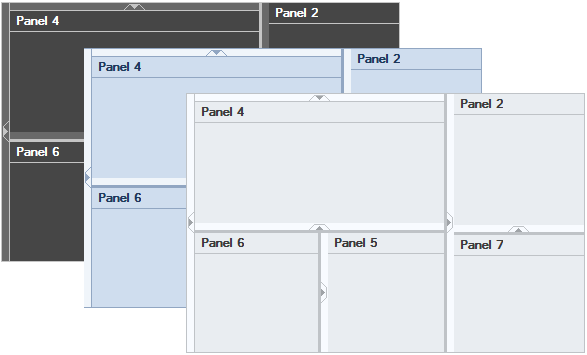 SplitContainer supports system and Office visual styles, so your panels can match the rest of your UI. SplitContainer also supports nesting other SplitContainer controls to create more complex layouts.